By adding 24000 km under Mission Electrification about 90 percent of the tracks under Indian Railways will become electrified. NEW DELHI: With an aim to reduce dependence on imported fuel and rationalize the cost of energy, Indian Railways launched a new mission to electrify another 24000 km of rail tracks to the existing 28000 km in the next few years. By adding 24000 km under Mission Electrification about 90 percent of the tracks under Indian Railways will become electrified. Launching ‘Mission Electrification, Railway Minister Suresh Parbhu said Indian Railways is looking forward to make Railways greener by electrification and increase in the pace of electrification will reduce its fuel bill by Rs 10000 Crore annually as against the business as usual approach. He also said that being the biggest user of energy Indian Railways consumes about 18 billion units of electricity and about 2.4 billion liters of fuel oil which is more than 2 percent of country’s energy consumption. 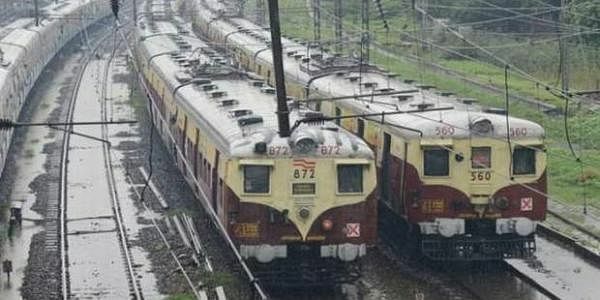 Energy demand of Indian Railways is expected to triple by 2030 from current levels to 49 billion units of electricity. “Decarbonising the Railways will help achieve the commitment made by India under Paris agreement to reduce its Green House Gas emissions by 33-35 percent by 2030 from the 2005 levels. Railways will change significantly with the initiatives to produce greener energy and by electrifying the railways substantially. Consumption of imported oil will come down with electrification, thereby reducing burden on the exchequer,” said Prabhu. “Electricity consumption will be reduced under Mission Electrification through the adoption of energy efficient appliances/equipment. Indian Railways has set a target of 40 percent of cumulative electricity generation capacity through renewable energy by 2030,” said Chairman Railway Board A K Mital. Currently 28,000 route km of tracks are electrified which is 42 percent of the total network carrying around two-thirds of total freight traffic and 50 percent of total passenger traffic. As against 800 km of average electrification in the earlier years, 1600 route km of railway tracks were electrified in 2015-16.